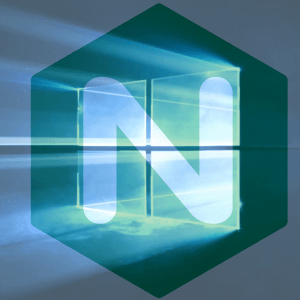 Nginx 1.15.0 32-bit and 64-bit builds for Windows are now available for free download.
) Change: the “ssl” directive is deprecated; the “ssl” parameter of the “listen” directive should be used instead.
) Change: now nginx detects missing SSL certificates during configuration testing when using the “ssl” parameter of the “listen” directive.
) Feature: now the stream module can handle multiple incoming UDP datagrams from a client within a single session.
) Bugfix: it was possible to specify an incorrect response code in the “proxy_cache_valid” directive.
) Bugfix: nginx could not be built by gcc 8.1.
) Bugfix: logging to syslog stopped on local IP address changes.
) Bugfix: nginx could not be built by clang with CUDA SDK installed; the bug had appeared in 1.13.8.
) Bugfix: “getsockopt(TCP_FASTOPEN) … failed” messages might appear in logs during binary upgrade when using unix domain listen sockets on FreeBSD.
) Bugfix: nginx could not be built on Fedora 28 Linux.
) Bugfix: request processing rate might exceed configured rate when using the “limit_req” directive.
) Bugfix: in handling of client addresses when using unix domain listen sockets to work with datagrams on Linux.
) Bugfix: in memory allocation error handling. Consequently, you may Download Nginx 1.15.0 for Windows (32-bit & 64-bit versions) here.